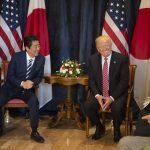 After weeks of dialogue between U.S. and Japanese leaders on North Korea, the immediate results of the June 12 summit between President Donald Trump and Chairman Kim Jong Un left much to be desired for Japan and U.S.-Japan relations. 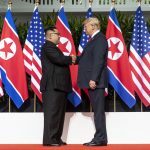 Not only did the joint statement fail to address Japanese abductees in North Korea or the security threat posed by North Korean missiles, but Trump also indicated his willingness to concede alliance agreements for vague gains by mentioning ending “war games” jointly held by South Korea and the United States. 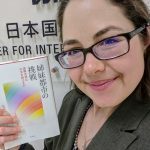 Grace Ruch Clegg, former Projects and Outreach Coordinator at the East-West Center in Washington, participated in the Sasakawa USA 2017-2018 In-Depth Alumni Research Trip to Japan. 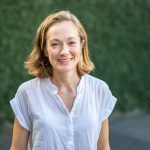 Here, Ruch Clegg shares her findings on the legacy, benefits, challenges, and outlook for sister city relationships between the United States and Japan. 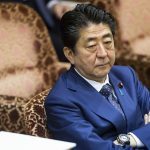 Japanese Prime Minister Shinzo Abe’s meetings with U.S. President Donald Trump on April 18 and 19 were unusually unpredictable for a summit between the leaders of the longtime allies, which are usually carefully choreographed with little left to chance. Much of the uncertainty was due to the Trump administration’s determination to reduce its bilateral trade deficits with major trading partners. This paper is the first section in a series called “Understanding Abenomics,” which will explore the intellectual and institutional drivers of Abenomics; what the Abe government has achieved in monetary, fiscal, and industrial and microeconomic policy; and the debates surrounding what Abenomics has achieved and what economic policy will look like after Abenomics.